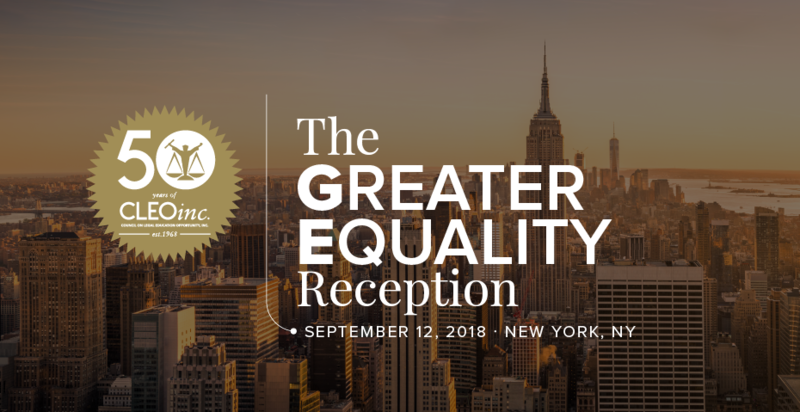 Largo, MD – July 27, 2018 – The Council on Legal Education Opportunity, Inc. (CLEO) has announced the New York City Host Committee for its Greater Equality Reception to be held September 12, 2018, at New York City Athletic Club, 180 Central Park South. New York City is the third celebration site of CLEO’s 50th Anniversary, which includes three receptions and a gala in Washington, D.C. The committee is composed of an array of local community and national leaders, law school deans, and partners in law. Celebrating the theme, The CLEO EDGE: 50 Years of Championing Education, Diversity, and Greater Equality in the Legal Profession, the New York Reception will focus on individuals, organizations, and other legal entities that have had an impact on greater equality in legal education, the profession, and/or society. CLEO will salute its history with a gala reception in Washington, D.C., on November 15, 2018. During the gala, noted civil rights leader, attorney, and business executive, Vernon E. Jordan, Jr. will receive the inaugural CLEO EDGE Heritage Award for his outstanding leadership and commitment to Education, Diversity, and Greater Equality for more than 50 years. Bakari Sellers, attorney, CNN Commentator, and former South Carolina state representative will be the emcee. 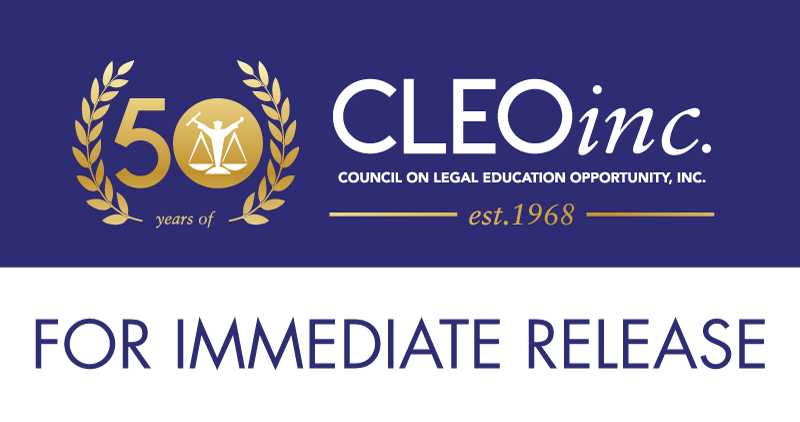 About the Council on Legal Education Opportunity, Inc.
CLEO, Inc. is a 501(c)(3) charitable organization committed to diversifying the legal profession by expanding legal education opportunities for persons from traditionally under-represented racial and ethnic groups, low-income, and disadvantaged communities. Founded in 1968, when the number of lawyers of color was less than one percent, CLEO has produced more than 10,000 individuals who have excelled in every area of the legal profession and include judges, corporate attorneys, law school deans and professors, practitioners, politicians, and more. 2018 is CLEO’s golden anniversary. More information about CLEO’s 50th Anniversary can be found at https://cleoinc.org/50.